Stunning 3 bedroom, 2 bathroom condominium featuring over 1,100 square feet of private outdoor space. Impressive kitchen with exquisite finishes including European cabinetry, oak floors, quartz countertops and top of the line appliance package. Abundant closet space, large bedrooms and beautifully designed spa-like bathrooms. Upgrades of finished laundry room, sound system, and custom pantry were recently completed. 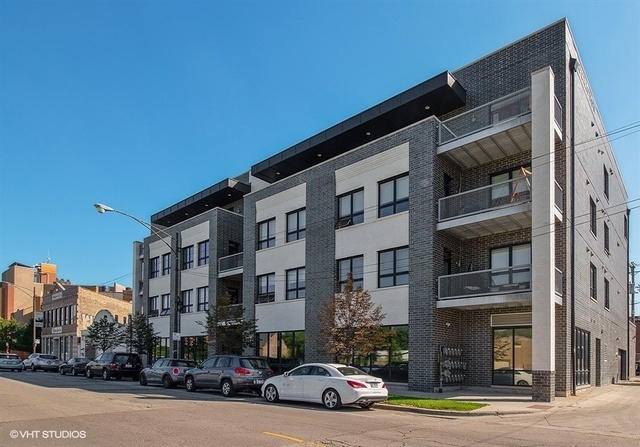 Unit includes a massive private outdoor space, it also enjoys access to a breathtaking common rooftop deck with views of Chicago's picturesque skyline. Heated garage parking, bike space and additional storage are all included! The Stanton is located at the intersection of Old Town and River North: residents enjoy the famed neighborhoods' vibrancy and every convenience of urban living. Garage space has upgraded electric vehicle hookup. Additional parking space available. Directions Division to Larrabee, North to property. Property information last modified by seller on Monday, January 07, 2019, 08:30 PM CST. Information Deemed Reliable But Not Guaranteed. Unauthorized duplication, use, or linkage is prohibited. The information on this web site is for personal, non-commercial use and may not be used for any purpose other than to identify prospective properties consumers may be interested in purchasing. Monthly Payment Calculator results are for illustrative purposes only, not a financing opportunity; calculations assume a 30-year fixed-rate mortgage and do not include closing and other costs. Property Tax on NEW properties is estimated at 1.5% of Listing Price for payment calculation purposes; actual value may be higher or lower.